Jessica is a Director at FRA in the Washington DC Office. She has significant experience as a compliance expert with in-depth and first-hand knowledge of the legal, regulatory, and international environment. She has developed, implemented, tested and defended compliance programs in front of government regulators, including the DOJ and SEC, and has served as a Big 4 subject matter expert. 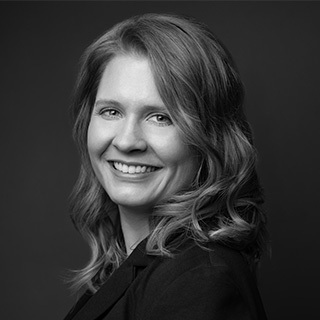 Jessica’s experience includes large-scale, multi-jurisdictional investigations and proactive compliance engagements in both developed and undeveloped countries. She has investigation experience in retail, banking, and technology industries, and has served as a primary investigator for internal cases involving potential ethical issues. Prior to joining FRA, Jessica was the Deputy Chief Compliance Officer and Sr. Director of Global Forensic Accounting at Diebold Nixdorf, Inc. during which she led the company to a successful completion of their corporate monitorship due to historical FCPA violations. In her capacity as Deputy, she was responsible for developing and overseeing Compliance Monitoring, Trade Compliance, and Corporate Compliance for 25,000 employees with a presence in 130 countries. Jessica also spent time at KPMG in their Forensic practice where she worked with a global retailer with more than 2.2 million employees to enhance their compliance program, including the creation and implementation of a global training and communication program, and establishment of compliance monitoring. Jessica also worked in-house as a Senior Accountant in the Special Projects Group at Weatherford International’s Office of Global Compliance. Her role included the execution of on-site compliance reviews and leading corporate investigations. Jessica is a Certified Public Accountant (CPA) and graduated from Pennsylvania State University with a Bachelor of Science in Accounting.